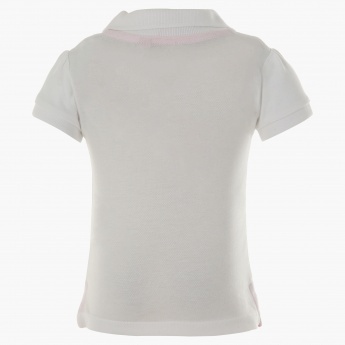 This adorable polo T-shirt is sure to give her a stylish yet preppy look. 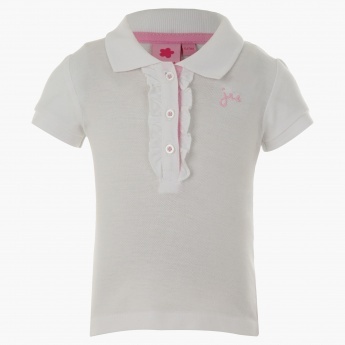 It features a polo collar with a short button placket that is trimmed with ruffles for a girlish charm. 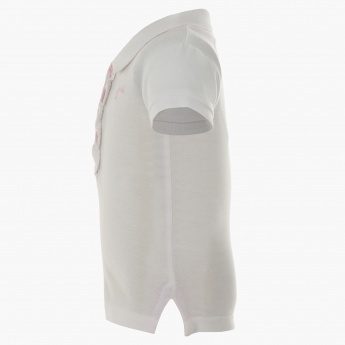 She can wear it over leggings or shorts with sandals for a daytime look.